Usually I feel reluctant to add foreign films in my list since there is no way I can give an accurate assessment without seeing every foriegn film. Ignorant statement I know, but I always try my best to watch as many good films out there and I am glad I caught Burning. It is quite a mesmerizing film but it took me a couple of days to appreciate the artistry behind it. The film is very slow burn in the beginning but once it hits its midway point, it becomes a very tense thriller. It’s layered with symbolism & mystique. 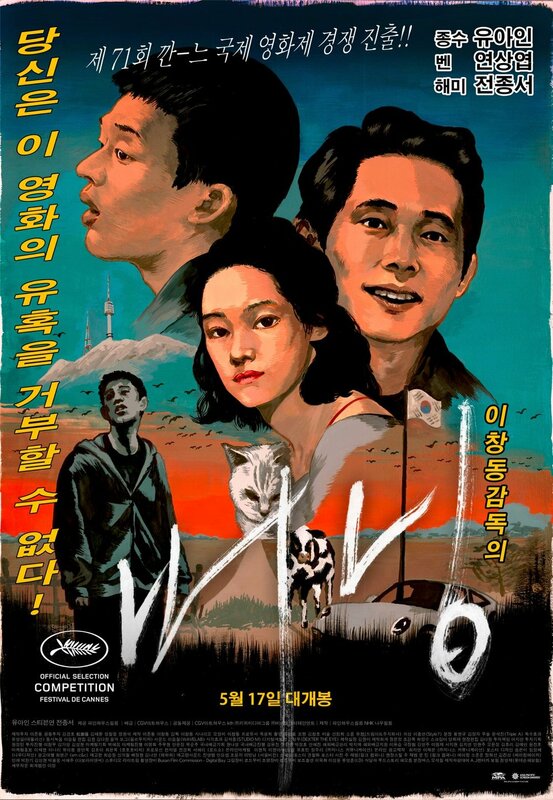 It has you on the edge of your seat and it is powered by an underrated fantastic performance by Steven Yeun, who should be a bigger star in Hollywood. The cinematography is also very striking and have a very Terrence Malick feel to it. Even though award shows have somehow shunned one of the most talked about foreign films of the year, I think Burning will find an audience and become a cult classic like fellow Korean classic, Oldboy. Barry Jenkins is proving to be a truly special director. If Beale Street Could Talk didn’t get the same amount of praise or hype Moonlight did, but it is fanciful as Moonlight. The film does have some major flaws regarding pacing and plotting but the movie is not about the plot. It is a lovely story about two people’s romance in a world that does not want them to be together. It is a touching tragic film that captures two lovers in a fantastical manner. It is all bolstered by a stunning score that is also Nicholas Britell’s best work. Horror is a genre that has special place in my heart. As a child the genre gave me nothing but nightmares but oddly enough, I love it now.. Sadly horror films have been on a downfall for a long time but we are in a resurgence. A Quiet Place piqued in my interest when I saw Emily Blunt was a lead and wondering why would she delegate herself to doing a B movie? Then I saw John Krasiski wrote & directed it and I had to see it. It is refreshing to see non horror directors stepping into the genre and Krasinksi managed to figure out how to make it work. He found a very heartwarming and poignant story about a family trying to live in a post apocalyptic world. Scares and monsters were just icing on the cake and that is why A Quiet Place works. It has a really touching story mixed in with adrenaline and suspense. At times it was very Spielbergan in scope and I loved A Quiet Place for that. Mandy was one of the biggest surprises for me this year. 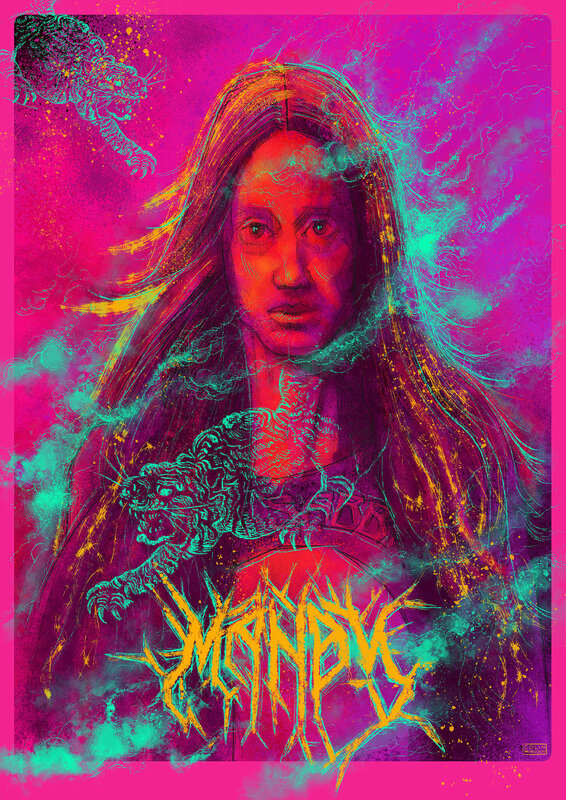 Nicolas Cage has delegated himself to direct to dvd hell Mandy was scheduled for a VOD release with a very limited theatrical release. Due to positive reception, the studio decided to release it in a more expanded theater run. Mandy reeks 80s B movie but that is the point. The script is simple and nothing special but it is Panos’ directing and use of his collaborators that makes the movie work. Johann Johannson’s final score is one of his best and one of the year’s best soundtracks. The cinematography is nothing but astounding and unique. The usage of colors is jaw dropping. And to top it off, Cosmatos knows how to get the best of Nicolas Cage. Cage gives a very strong performance but Cosmatos uses whacky Cage to his effect. And this mixture of all these wild elements work and Mandy comes out as something special. Mandy is an example of how special indie film making can be. Yorgos Lanthimos is turning out to be a fun director to watch. I wasn’t enamored by his break through The Lobster but he won me over with The Killing of a Sacred Deer. Lanthimos has a weird style that works for him and it is funny how a true story blended so well with his style. 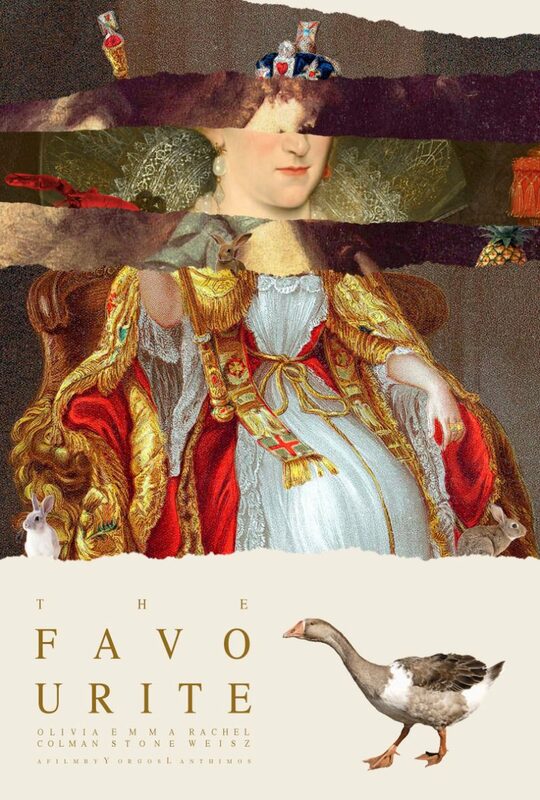 The Favourite isn’t perfect but it is a very creative film with a good story at its core. And sometimes a good story is all you need to make a great film but Yorgos’ goes a step further with every scene being filmed with massive detail and the three leads of the film give some of the best performances of the year. At this point, it shouldn’t be a surprise that an Alex Garland film is going to be good. He is one of my favorite science fiction script writers and it has been a delight to see him finally take control of his scripts and be the director as well. Garland has an eye for visuals (one of the best shot films of the year) and he understands suspense. 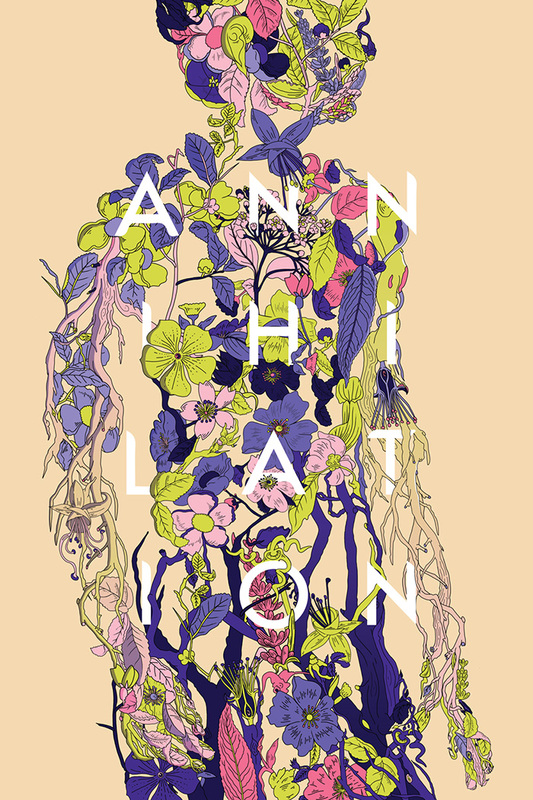 Annhilation is not a movie with answers, it is a very mysterious eerie film. The score is unpleasant (amazing use of Moderat’s The Mark), the performances are melancholic but it is a mystifying film. You are entrapped beginning to end and it is a film I could not stop thinking about for days. It is not an easily accessible film but it is a special one. You Were Never Really Here was a film I was looking forward to all year and I had to take a trip to catch it on its very short limited run in theaters. Joaquin Phoenix has been on a roll ever since his return from his fake meltdown. Joe is easily one of his best roles he has done. The perfect way to describe this film is if The Punisher was directed as an art house film. YWNRH contains all my favorite elements of art house cinema which is ambience. YWNRH has an interesting but generic plot but I think that is what make Lynn Ramsay’s direction beautiful. Even with her budget restrictions, she knows how to frame scenes and pace properly. Most importantly, the film isn’t about the plot. It is about a suicidal depressed man and as someone who suffers from depression, I have never seen a movie capture depression as perfectly as YWNRH. 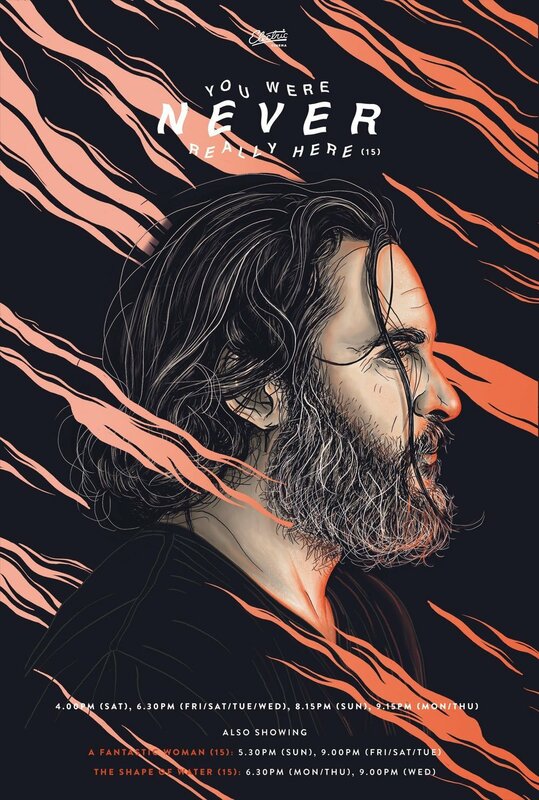 You Were Never Really Here is one of the many films of the year with a powerful soundtrack and there is a beautiful, sad moment in the middle of the film regarding a forest and lake that hit me real hard. It is another movie that stayed with me for days and months. It seems like there is a new Spider-Man reboot every year and unfortunately none of have lived up to the standards of Sam Raimi Twology (Yep the third one never happened) Phil Lord & Chris Miller are quickly becoming some of my favorite screenwriters in Hollywood and it is awesome to see them put their stamp on a superhero film. They know how to write jokes, they know how to plot, and they do fun little easter eggs. Most importantly they remember to hit the right emotional beats. Something that made renaissance period of Disney special. Just like The Lego Batman Movie last year, Into the Spiderverse honors all of Spidey’s legacy even if he is not the main star of the movie. At times, Spiderverse felt like the sequel the Spider-Man 2 should have gotten and it was refreshing to see an adult Peter Parker with adult problems. Especially after seeing all these constant teenager Spider-Men. Spiderverse is fun, it is funny, it is beautifully animated, it has heart, and it is created with uttermost love and that is why it is a truly extraordinary movie that has rightfully earned its praise. I do not think there is anyone with a better work ethic in Hollywood than Tom Cruise. The man is a machine and dedicated to making fun blockbusters. Him and McQuarrie are turning into quite the duo. There is no reason for the sixth movie in a franchise to be good let alone the third best in the series. I will admit, even I had my doubts that Cruise/McQuarrie could repeat the same success as the previous two films. And it not being a “stand alone” film was a bit weirder as every movie is a fresh start. Fallout isn’t breaking any new grounds or doing anything different. The story is a tad predictable but it is still fun to watch. Even though these films tend to use the corny save the day plots, it feels real because of Cruise. Cruise constantly tries to come up with insane action sequenes and stunts and he consistently delivers. Fallout is a 2 hour pump of adrenaline and it is easily the best blockbuster of the year but also one of the funnest movies of the year. Fallout succeeds in what movies were made to do, entertain. PS after 6 movies, CAN THE US GOVERNMENT STOP TURNING THEIR BACK ON ETHAN HUNT!? Ryan Gosling sure knows how to pick his films. He is one of the few actors to have a consistent streak of quality. I had some reluctance with this one due to a couple of factors. Biopics can be very hard to pull off and everyone knows of Neil Armstrong’s landing on the moon but is that enough for a 3 hour film? Sully was proof that you cannot make an entertaining movie about a moment for 2 hours. Surprisingl Damien Chazelle makes it work. He cracks the formula of biopics and finds a story arc with Gosling’s Neil Armstrong. Gosling’s performance is absolutely incredible and one of the year’s biggest snubs. There is a lot of information given in the film that the general public does not really know and they use it to their advantage. Damien Chazelle’s direction is superb and he really puts the same doubt these people had when trying to reach the moon. Throw in one of the year’s best scores and beautiful cinematography and you have a very exceptional and surprisingly emotional film. I applaud Chazelle and his team for making a plain story everyone knows a special piece of cinema.